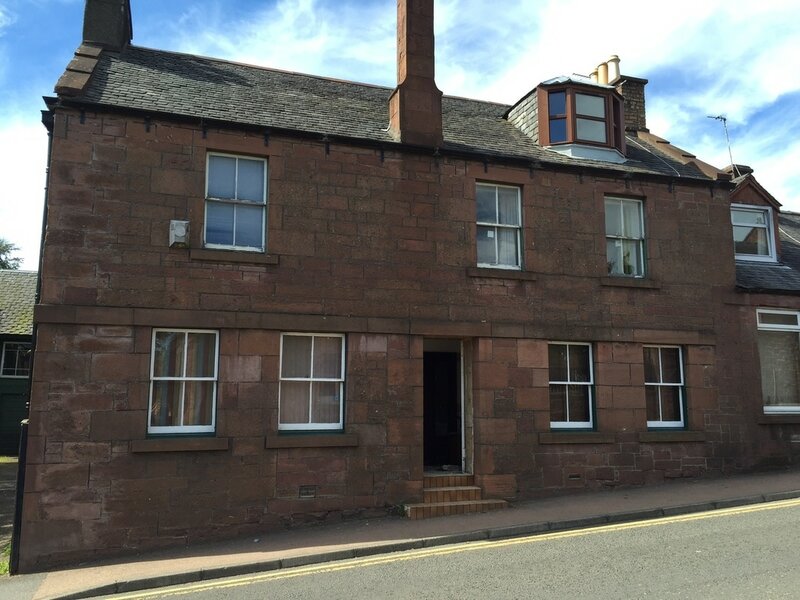 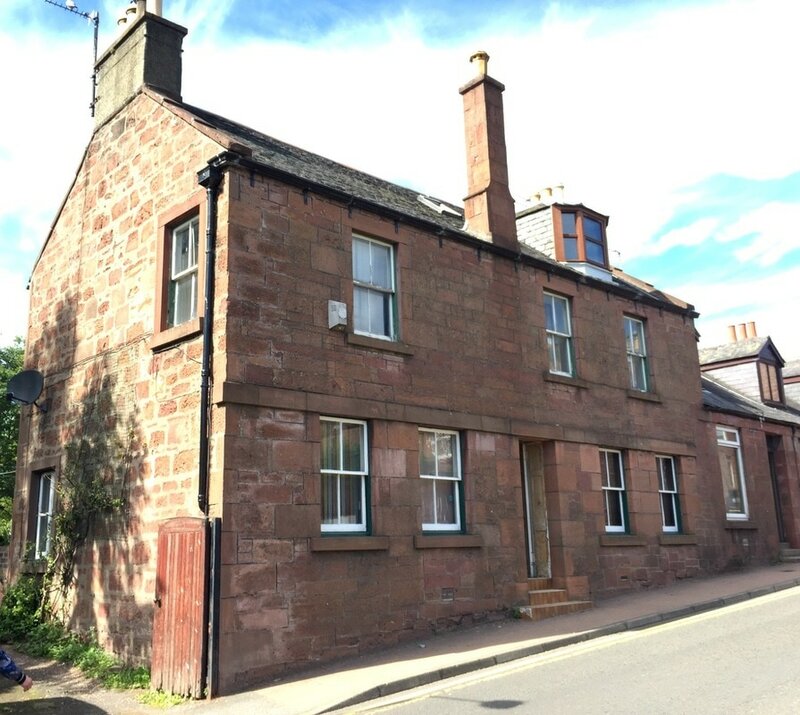 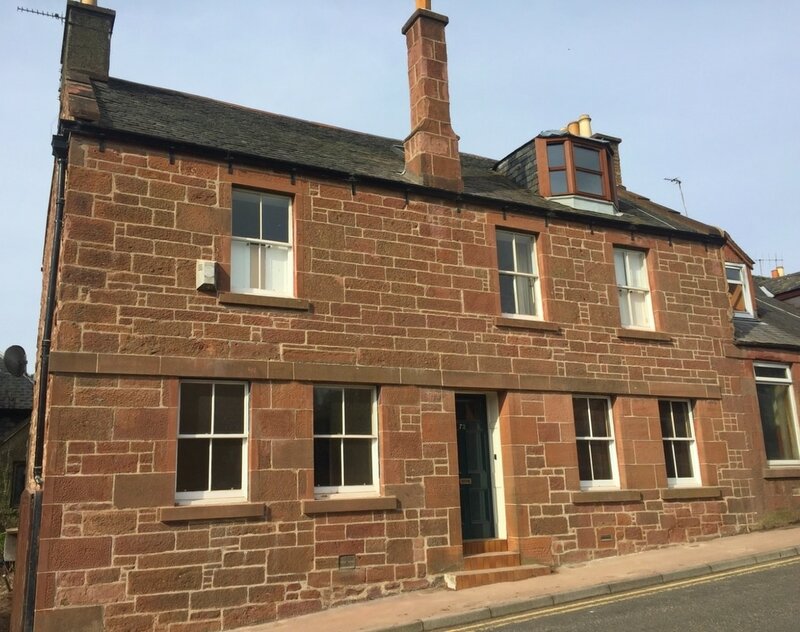 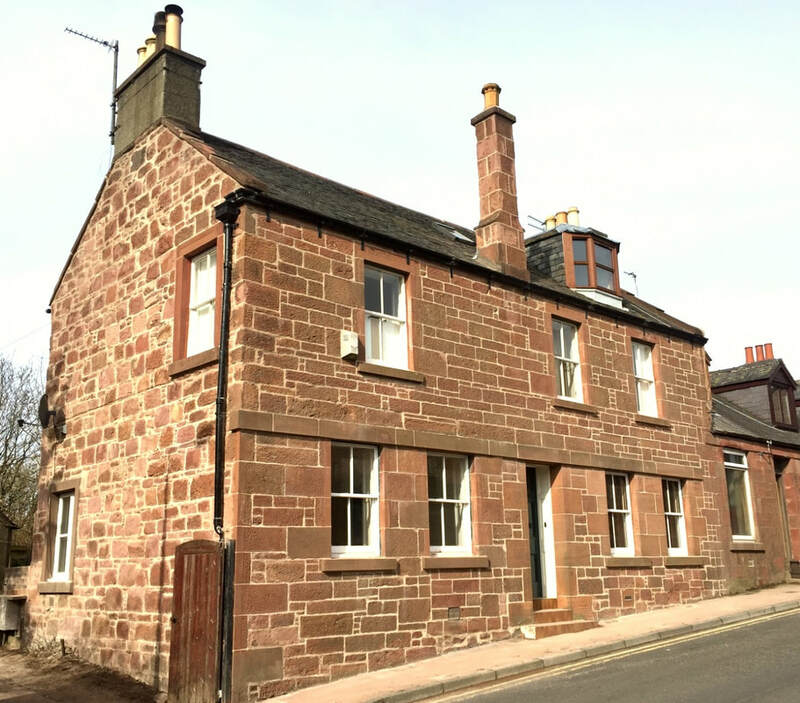 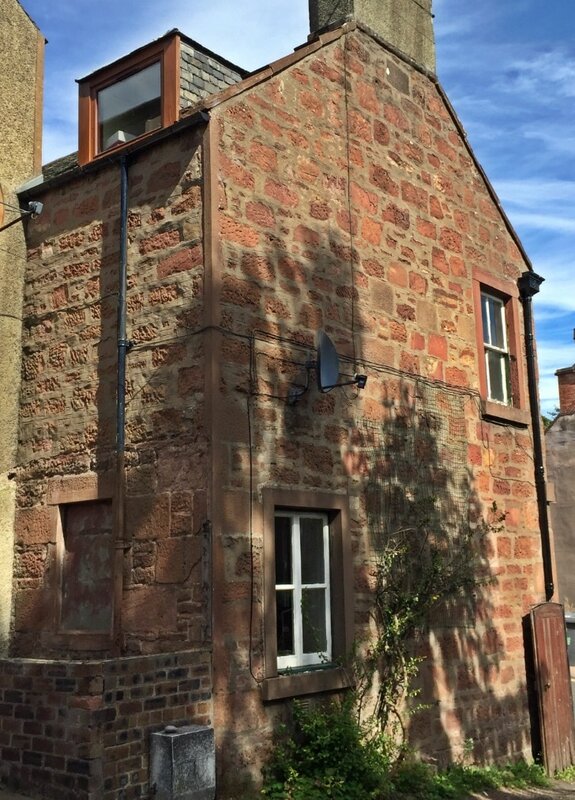 This work was a project partly funded by the Kirriemuir Conservation Area Regeneration Scheme ( CARS ). 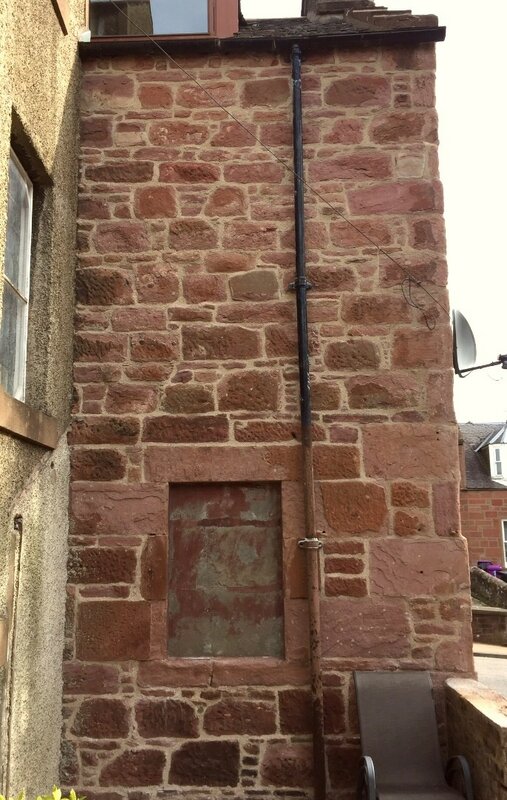 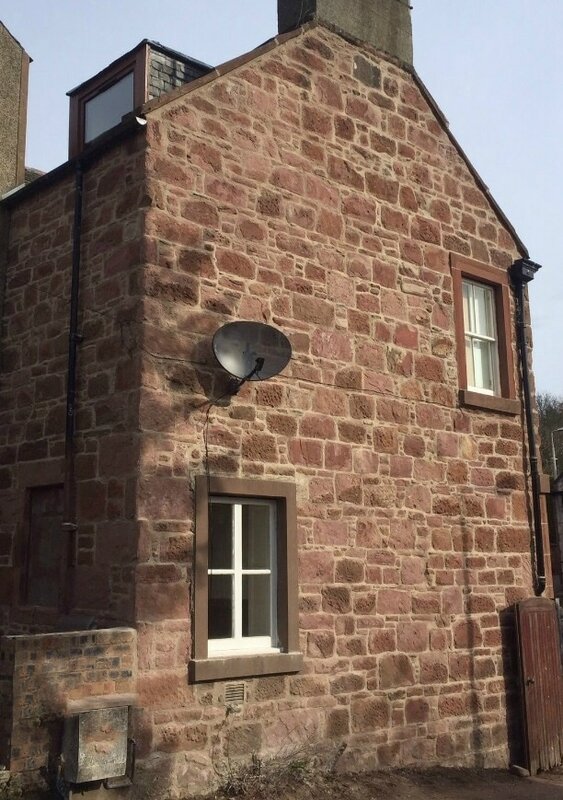 The job entailed removal of extensive, old cement pointing, which was damaging the red sandstone of this 18th century property. 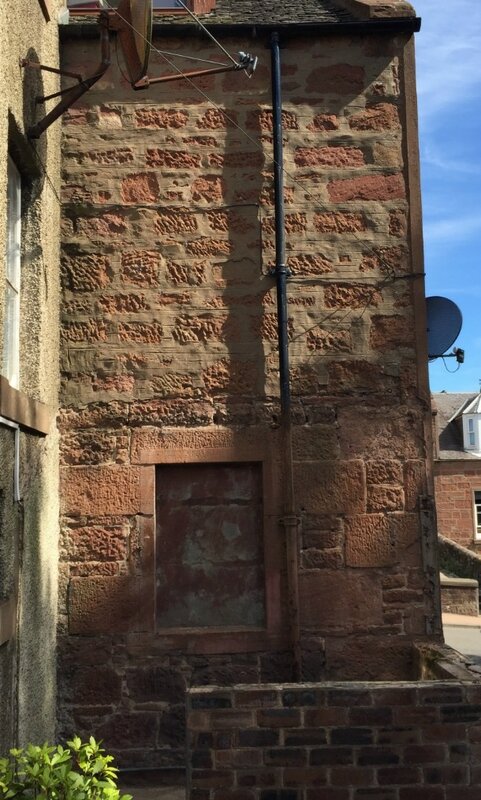 This was replaced with a lime and sand mortar to match the original pointing, then covered with hessian to allow to cure for ten days.There were also Lithomex repairs to the window surrounds and quoins.